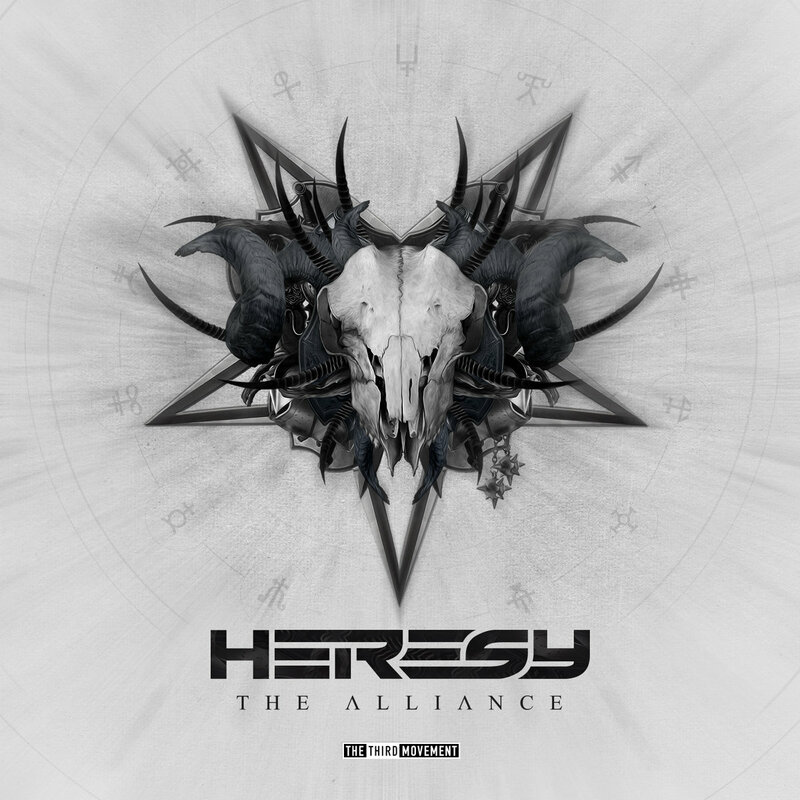 This exclusive Heresy T-shirt comes in used black heavy cotton fabric, printed on both sides with the stunning 'Alliance album' artwork by Designificance. 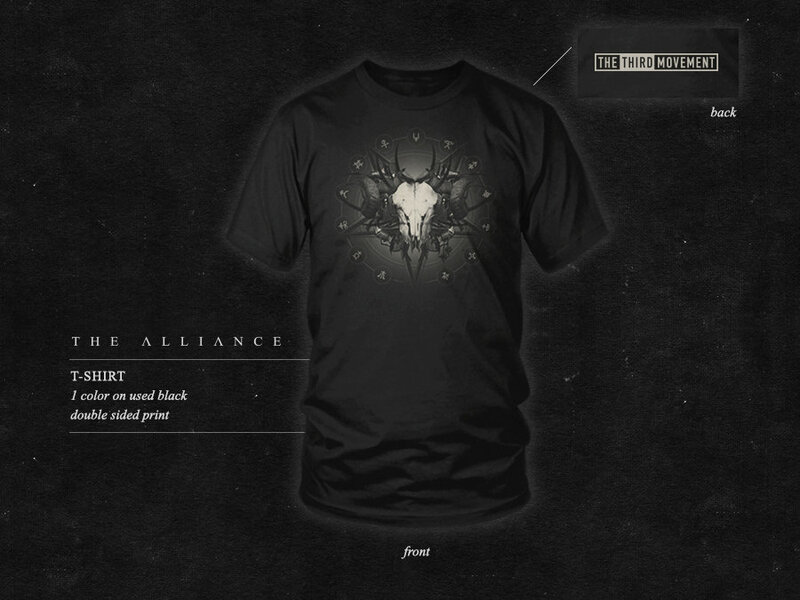 The Heresy t-shirt is available in sizes S, M, L, XL and XXL. 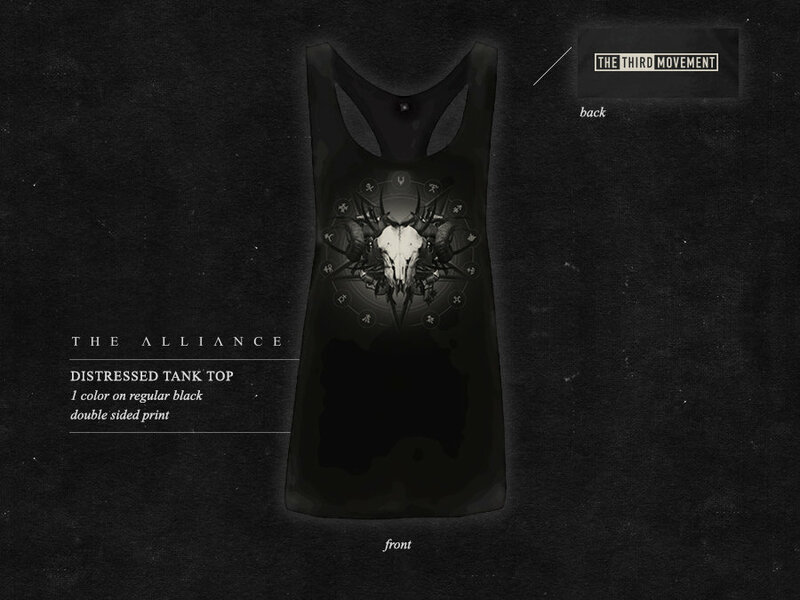 The distressed tank top for ladies is in regular black, 100% Tencel Lyocell Fine Jersey and one size fits all.